On 18 June 2018, imagery shows a change in the containers and a cluster of new small structures compared to the imagery from March 2017, which would indicate that the facility is likely still being maintained and in use. © 2018, DigitalGlobe, Inc.
Justice remains elusive a year after a network of secret prisons was first exposed in southern Yemen, Amnesty International said in a new report documenting egregious unchecked violations, including systemic disappearances and torture as well as other ill-treatment amounting to war crimes. 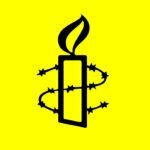 Amnesty International investigated the cases of 51 men detained by these forces between March 2016 and May 2018 in Aden, Lahj, Abyan, Hadramawt, and Shabwa governorates. Most of the cases involved enforced disappearance, and 19 of these men remain missing. The organisation interviewed 75 people, including former detainees, relatives of those still missing, activists, and government officials. Critics of the coalition and the practices of UAE-backed security forces have been among those rounded up, including community figures, activists and journalists, as well as sympathisers and members of the al-Islah Party, Yemen’s Muslim Brotherhood branch.